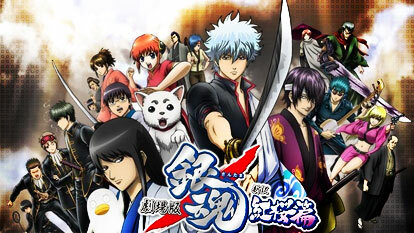 Gintama is back and better than ever! Featuring aliens, time clocks, and the fondling of breasts! Gintama is an anime based around humor and references; it shall blow your mind with questions of how it has not gotten copyright strikes! Now prepare for the 4th wall to be broken, and to cry your eyes out in laughter at the not-so-organised story of a Silver Haired Samurai and his incredible life in the city of Edo!